We spent the weekend in Old Station. Have you been there? You probably have, but just didn't realize it. A few minutes drive past the entrance to Lassen Park on Hwy 44, you find Old Station. You might know it because Hat Creek runs through it. Some people remember it because Subway Cave is near there. 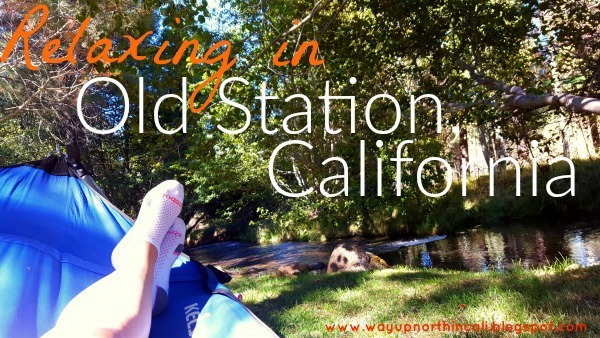 But it's probably most well known for being one of the only gas stations between Palo Cedro and Susanville. But what I didn't realize until about 5 years ago is that there are neighborhoods in Old Station. I guess I always knew that people must live there, but it never occurred to me that a neighborhood existed way out there! Several years ago Q's parents purchased a house in Old Station in one of the fore mentioned neighborhoods. The family named the house "Willow Brook". It's quite lovely up there. It's a great place to get out of the heat in the summer. A perfect place to have hot chocolate after sledding at Eskimo Hill and Christmas Tree hunting in the winter. 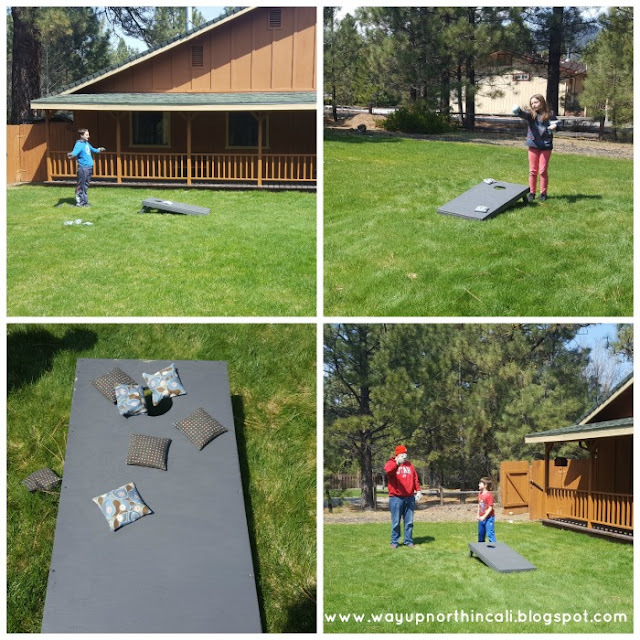 Q made a Corn Hole game and we spent a good portion of our time playing that in the front yard. 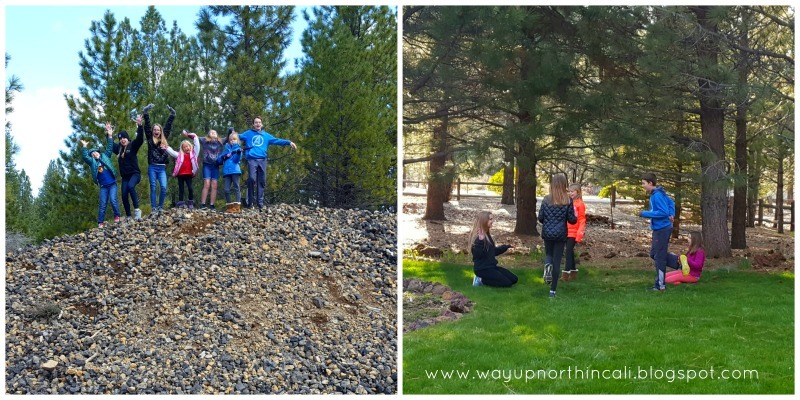 About an hour's drive from Redding, we enjoy going to get away from our busy life, spending time as a family and just relaxing in a beautiful place. Half way through the weekend, our good friends joined us. Target practice with BB guns, Silent Ninja, Capture the Flag, Sardines, LOTS of junk food, board games, movies and of course more Corn Hole. Life is always more fun with friends! Think there's "nothing to do" once you get way up there in Old Station? Check out these posts on things to do close by. Do you have a place you go to get away from it all?